Would This be Calf Pabulum? 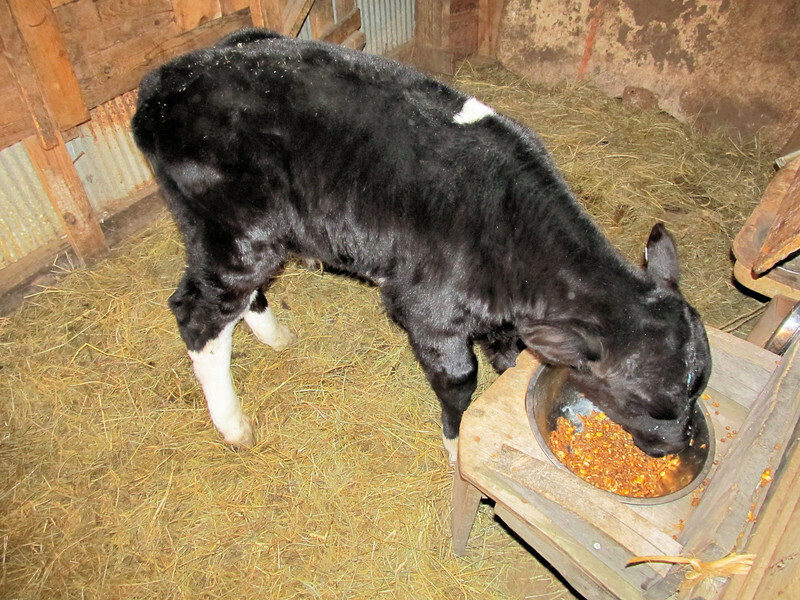 I got a few bags of “Dairy Calf Starter” to get Hamburger, the calf a faster start on getting off of milk. I have been putting some of it into his mouth after I give him his milk. I got my hand slimed up a few times a day for a week, then told him he was going to have to lick it up on his own, from now on. After pushing on the side of the pan with his nose, he went to eating. As soon as I finish giving him the milk he goes right to it and a couple hours before his evening feeding I put him in and he goes to it then too.